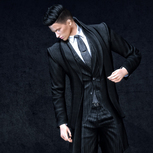 So Im a noob to SL and Ive been searching and figuring out how to change Bodies, Heads, Hair and Tattoos . So my Questions are these , 2 Questions. 1). I have a Belleza JAKE Body and I want to put tattoos on my Avatar and Fort some reason I cannot figure it out. I actually purchased the actual tattoos i want and it said it was compatible with my body. So i pulled out the JAKE HUD and i cant figure out how to put them on. I seen an area where you have to Highlight the Tattoo section in the HUD but after i do so, I added the tattoo and its not showing up. Any ideas on how i can get this to work? 2). I also need hair for my Bento Daniel head and i cannot find hair. Ive went and purchased what i thought was hair but it turned out to be hair coloring and not the actual hair. Dos anyone know where i can find HAIR? Hello, I know I'm not a dude for male avatar questions but I have tattoos on my avatar and I would just apply the tattoo for the body I have that's in the folder that it came from and then it would have the Hud to how dark you want to see it appear on the skin? Now when it comes to hair I'm not sure.. but maybe try marketplace? 1. you need to have the omega system activated, perhaps you did that already, in this case you have bought, next to the body, the omega system for jake. If that is installed you need to use the tattoo applier you bought(add , it will show as hud, click it ) , and activate the right bodylayer in your jake hud to let it show. 2 you bought the hairbase, thats not less important than the real hair it makes the part of the skull colored so it will match the hair color you want to wear. I seen an area where you have to Highlight the Tattoo section in the HUD but after i do so, I added the tattoo and its not showing up. You're going the right way in highlighting the area on the HUD, but you need to check that you're using the correct item in the inventory folder. You've not mentioned which tattoo you're using, so I'm taking a wild guess at what may be happening, based on previous experience of helping people with these issues. Look in the tattoo's folder. Do you have multiple items with different inventory icons? If so, you need to ensure that you right-click the item that's got a golden box icon, and select 'add' from the menu. It might contain any combination of the following words in its name: applier, Belleza, or Omega. If the object says 'Belleza' then all you need to do is click the relevant box on the HUD that was added you your screen when you clicked 'add'. Some HUDs will state things like 100%, 75%, 50% etc. That's the strength of the tattoo (100% being fresh and 25% being faded). Others might just offer you the option of applying to Tattoo, Underwear, or Clothing sections of your mesh body. It depends on the creator's way of doing things. If the object says 'applier' then it might have options for multiple mesh body brands on the HUD. Look for the Belleza logo and click the relevant option (strength or body area, etc) next to that. If the object says 'Omega' (or you see the purple Omega symbol on it, and not the Belleza logo) - OR you see text along the lines of "attempting to apply" in local chat when you click the HUD to apply the tattoo - then you'll need to buy another HUD to install Omega compatibility before the tattoo will work. The Belleza Omega Installer can be purchased next to the Jake body in the Belleza store. Wear the HUD to unpack it, then wear the Installer. Click it, and Omega compatibility will be installed into your Jake body. After that, you can use any kind of body appliers that are for Omega. I also need hair for my Bento Daniel head and i cannot find hair. You don't need special hair for a mesh head. 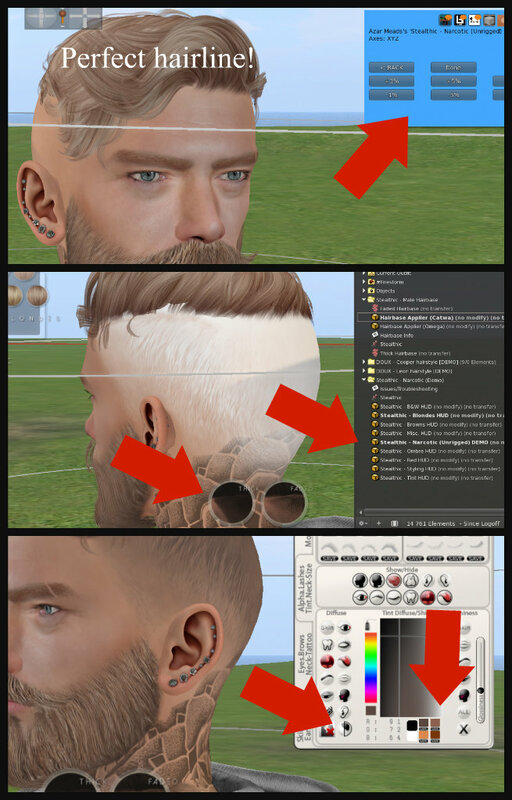 Almost any hair should work just fine, although some rigged hair ('rigged' means that it's fixed to certain points on your avatar's skeleton) might float a bit above your head and can't be edited down into place. If you're looking for shorter styles, try stores like Stealthic, Vango, Volthair, Drot, Modulus, and Dura. If you're after longer hair, try Exile and No Match. What Ethan and Skell said about appliers. I have saved a picture of the screen with Omega appliers. If you bought a tattoo with several appliers in it, and one of them says "Belleza body applier" you must add it so it appears on screen and click it. If it only has Omega appliers, you must get the "Omega system installer Belleza" marked with red arrow. Over is an image of Omega appliers on a Belleza body. Tattoo on the tattoo layer and tanktop on undershirt and underpants layer. To activate any appliers, you must add the applier so it appears on the screen, but also click on the icon on the screen. Did you do it? And "buy" the demo hair first, so you are sure it is what you want. That's what demos are for, buy them - most are free, a few cost 1L, but it is better to spend 1L than waste 250L on a hair that you don't like/don't work for you. 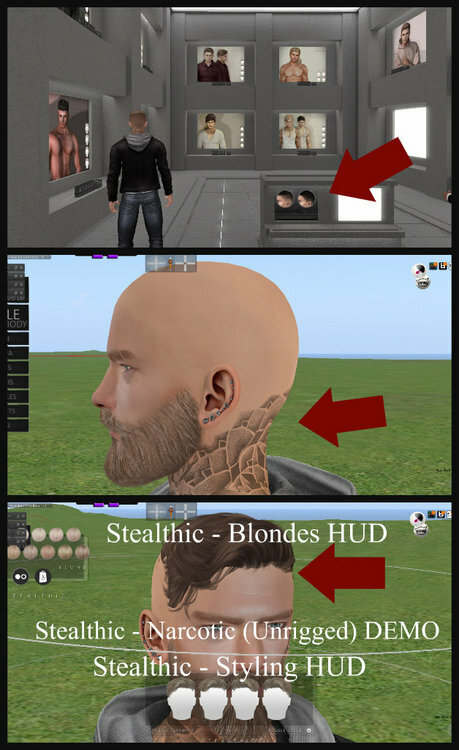 All serious hair stores have demos, both stores inworld and on the Marketplace. Thank you all soo Much , So i got the tattoos to work But as far as hair It got late and went to bed so im headed in now to get hair. The tattoos are working now and as far as hair, I do want short hair so imma try out some of the places that were listed above so thank you all for the help . I was struggling for a while and its all starting to come together. And ive very happy about the look of my Avatar so far. I struggled the first few days with my head because i had a DEMO stuck to my head and it would NOT come off for the life of me then someone told me to Redeliver the head i had and delete the old one and that finally worked after 24 hours of trying everything else so thats why i havent tried a DEMO again. But anyways Thank you all for the advice and ill keep this all in mind and your all awesome. !!! Thank you all again! after trying a demo it sometimes helps to clear the make up layers/faicial layers in the hud of the head. So here is walking you through buying and fitting a Stealthic hair. It is always a bit difficult with the hairbase and layers. Image 1 show the Stealthic store, buy any and all demos by clicking on the posters. Notice the hairbases is sold in their own pack - no demos for those. You can buy them after trying on the hairs and if you find some you like, come back for the hairbases. Image 2 is the bald head. There is a neck tattoo here that is worn on lower hairbase layer. This means that I have to add the hair-hairbase on upper layer. This is not so important to you if you don't have a neck tattoo. Image 3: Open your inventory and wear Stealthic - hair name (Unrigged) DEMO, Stealthic - Styling HUD and Stealthic - the colors you want HUD. Click on the different colors, and don't forget it is an Ombre HUD too. This one if often overlooked, but it has a variety of colors. Notice that the hairline is jagged, we fix that next. The Styling HUD is one of the reasons I like Stealthic. You can click on it and change the way your hair sweep to the sides. There is also a tinting HUD, but I don't talk about it now. Unless you find no colors at all that suit you, you don't need it. I am just going to assume you find a color you like. Image 4: Click on the hair and a blue menu pop up in the upper corner. I find that stretching xyz is often the easiest way. Click first stretch xyz and then +5%. This was enough to give it the perfect edge. Zoom around the head, and see if it looks good. You can fiddle with stretching a lot, but minor imperfections will be blended in the hairbase. Image 5: Unpack the hairbase and add it so it appears on screen and click one of the two. You will get a blue pop-up menu that ask if you want the hairbase on upper or lower layer. I choose upper. The hairbase is totally white. Image 6: Attach and open your Catwa Hud master on the page that has tinting. Now you must remember if you are using the upper or lower hairbase. It is the icon with a small head in profile on the bottom row. The upper hairbase is to the right. Click on it. Now comes the tricky part: Tint the hairbase to match. In my case, I must make it match both the beard and the hair, but it is always a slight difference in real life, so no need to fret over it. Tint it until you are satisfied. You can save your tint to one of small save slots. Now you can buy the full priced hair in the color you will use. Detach all the demos and delete the demo folder. Repeat the steps for resizing and styling your new hair. Your hairbase is already done, make sure you save the hairbase applier, so you can use it again if you will change.